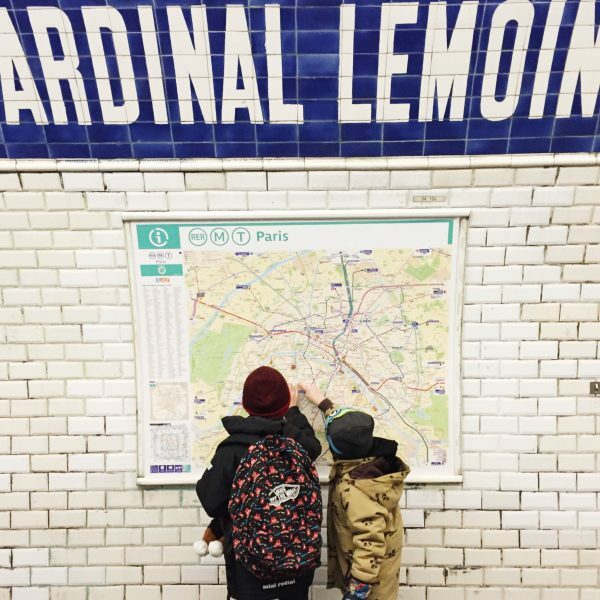 GUESTBLOG: Experience Paris with kids. Guest blog by Cindy known from My Daily Garbage. A city trip with kids can be so much fun. Especially if you take them to a city that you have been before. That way, you can relax and just enjoy the vibe, instead of rushing your way from one touristic highlight to the other. Our kids certainly don’t like to be rushed. What they do like is hanging out on squares, running through unknown streets and play in playgrounds. Paris is a city we’ve been before several times, so no need for the Eiffel Tower, Notre Dame or Champs Elysees. But browsing through the city one coffee spot at a time, we came across a lot of squares, alleys and playgrounds. Four great tips for traveling to Parijs with kids! 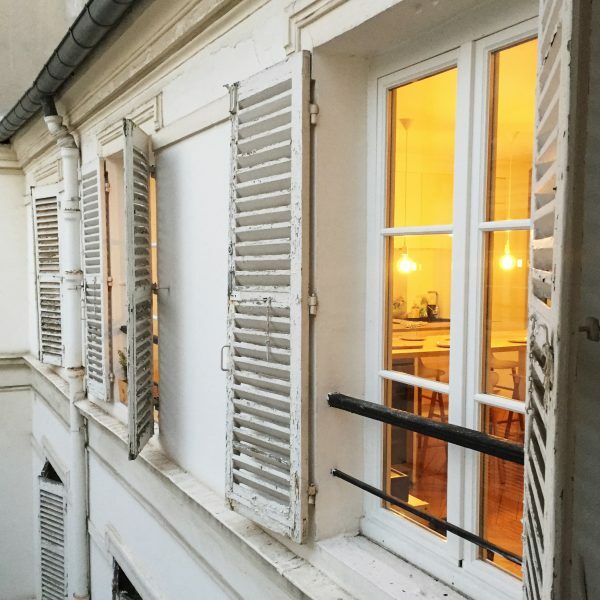 There’s plenty of nice airbnb appartements to be found in Paris. Of course the location is everything, bu we recommend to look for an appartment with a childrens room included. Our kids love to play with someone elses toys. And especially in the morning you’ll appreviate this even more. When you turn around just one more time, the kids will be playing in the living room. Sounds like a win/win situation. Rent a bike, or better yet a cargo-bike. 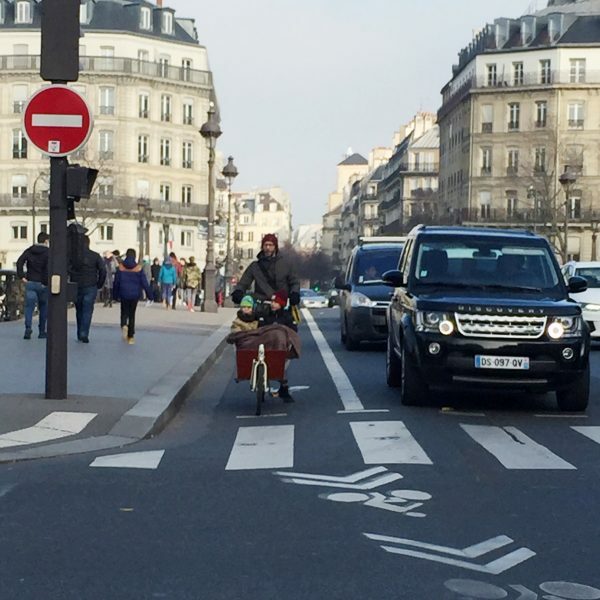 Biking through Paris might sound very unsafe, but that’s so not true. Paris is well on its way to become the most bike-friendly city in Europe. Since just a few year the amounts of bike paths are increasing and well separated. When there are no bike paths, you simply take the bus lane. Biking together with smaller kids might be a challenge. But in that case simply rent a cargo bike, we call them bakfiets. You can simply rent them through. Paris a velo bic of Allo velo. Bike or stroll from park to park. With over 400 parks and gardens, Paris is one of the greenest cities in Europe. One of my favorite parks is Jardin des Tuileries. The oldest and biggest park in Parijs. With a great playground, trampolines and even a carousel for the kids. If you decide on visiting the Natural Historic Museum you can take a walk through Jardin des Plantes. In the Marais, you’ll find Place des Vosges. A beautiful square with a playground including some climbing tools. 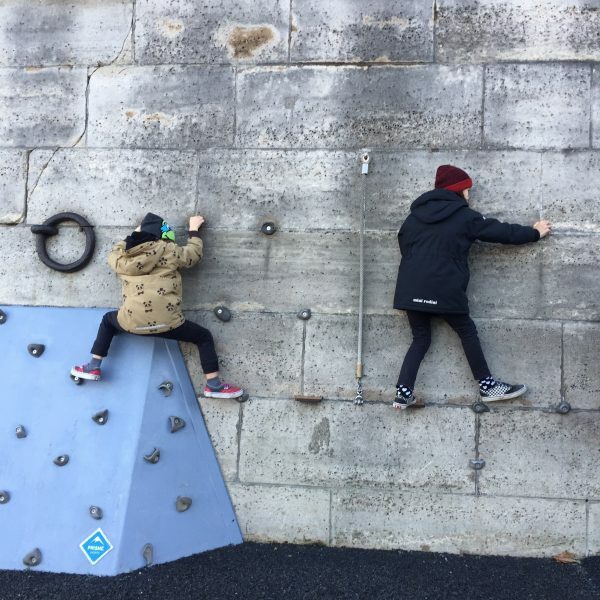 But our kids personal favorite is the climbing walk along the Seine, close to Pont Alexander III. After strolling through the city for the whole day, our kids might not be the most pleasant company in a restaurant. Especially is Summer it can be so much more fun to go for a picknick along the Seine or in one the many parks. Get your hands on a delicious wood oven pizza at Rosa Bonheur or make yourself a simple salad. Just one more baguette and you’ll have the best meal. The kids are free to run around while you enjoy a pretty sunset in Paris. Travel | City Trip | Paris | Shopping GUEST BLOG | The best coffee & hotspots in Paris, selected by Anja Roos Travel | Citytrip | Ghent with kids Exploring Hamburg with kids.